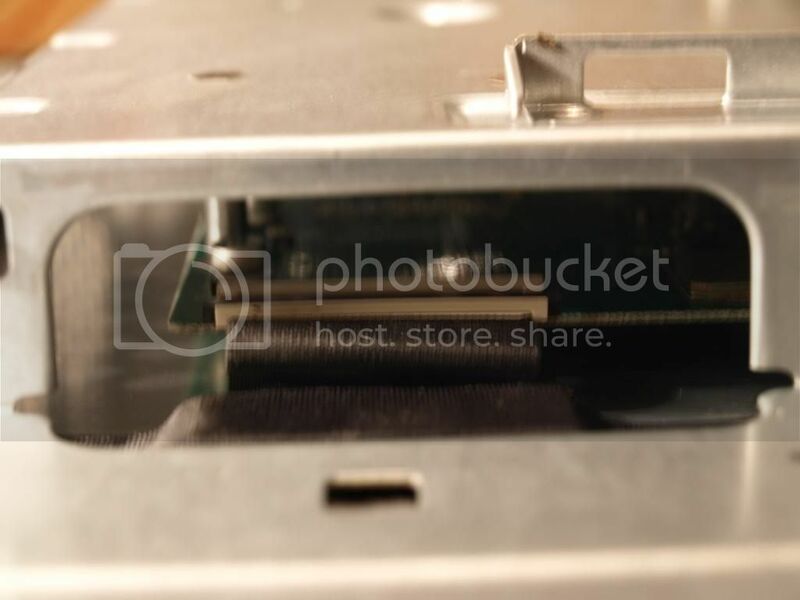 This guide is specifically for a Dell E196FPf, but it should apply to pretty much any LCD. DISCLAIMER!!! : Doing this will void your warranty. 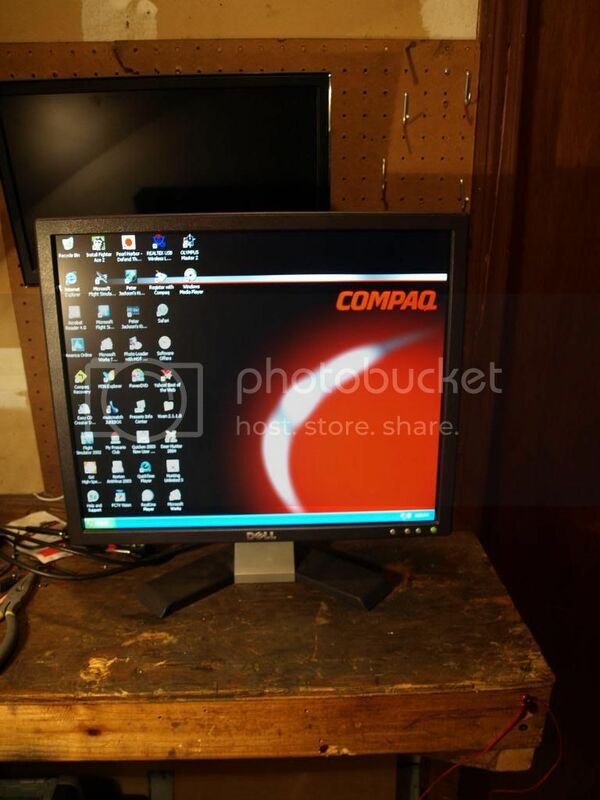 If your monitor is still under warranty, contact the manufacturer to get a replacement. If it's out of warranty however, you have nothing to lose, so you might as well give this a try. I am also not responsible if you screw up your monitor or somehow manage to hurt yourself or damage property. 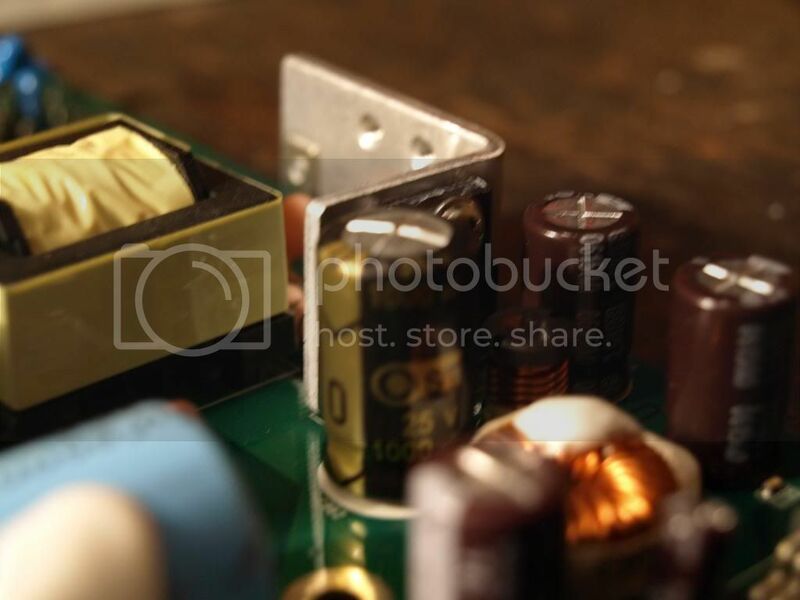 How to tell if you have a bad capacitor: The monitor will usually be turning off right after powering up or will be rapidly clicking on and off. 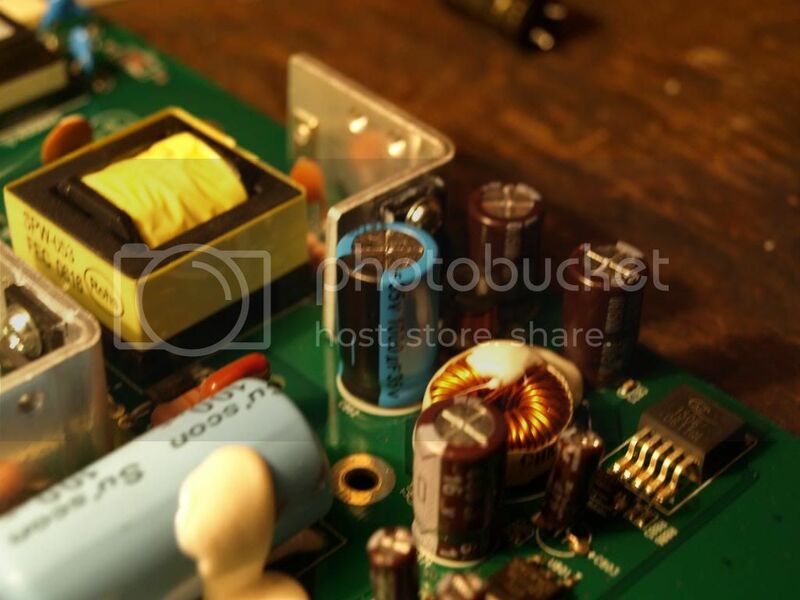 There are a number of things that can cause these problems, but a blown capacitor is the most common. Right, now we've established all that. Time to begin. Remove the stand from the monitor. This is accomplished by pushing a little button underneath where it mounts to the monitor. 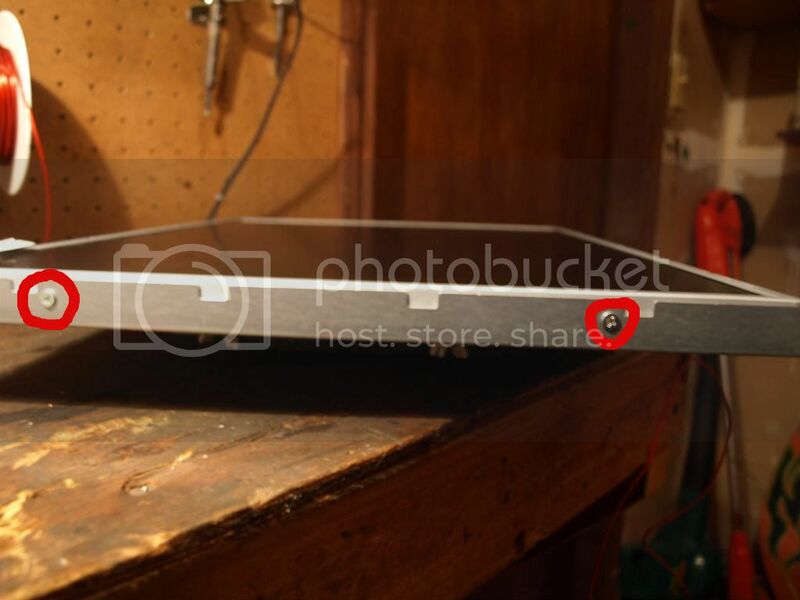 Next, remove the four circled screws. Now you need to crack the case open. There's no easy way to do this, and you will almost definitely cause some degree of damage when getting started, so start at the bottom where it won't be seen. The best way is to wedge a screwdriver as deep into the groove as possible, then pry upwards till it pops. Once you get it started, it will be much easier. When you're done with that, the outer casing can be removed. 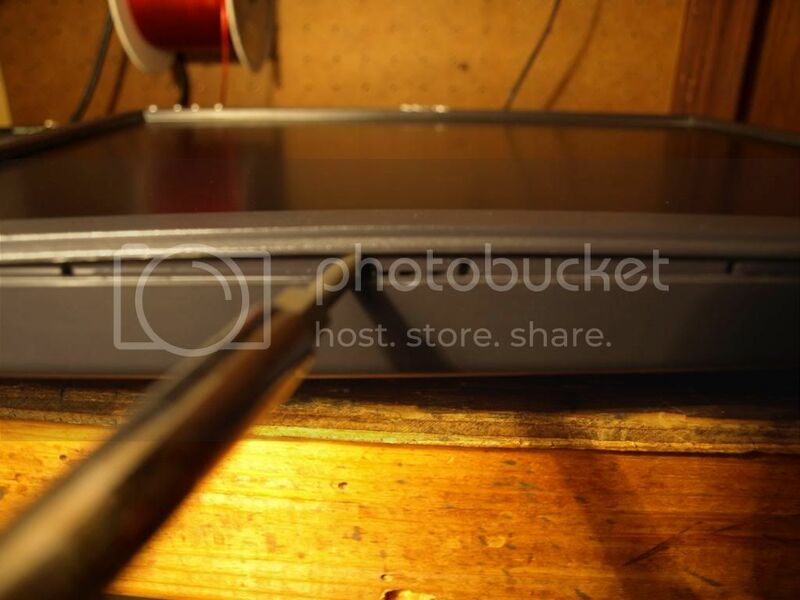 There will be a small metal panel on the back of the monitor that looks like this. Lift up on the tab and it will let you slide it off. Underneath it is a ribbon cable going to the lcd panel. Unplug it. 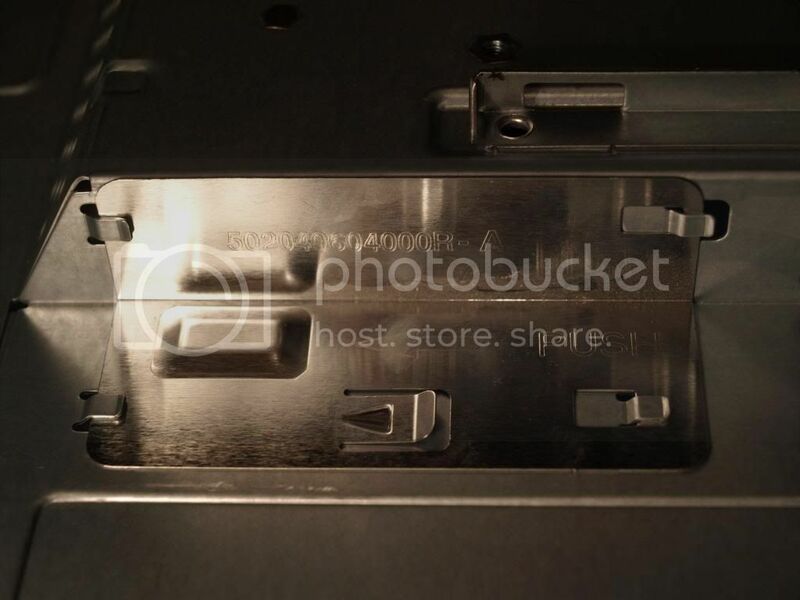 On the side, there will be two sets of two plug that go to the backlight. Unplug them. Unplug the cable running to the control panel. This one is located on the front of the monitor at the bottom right corner. 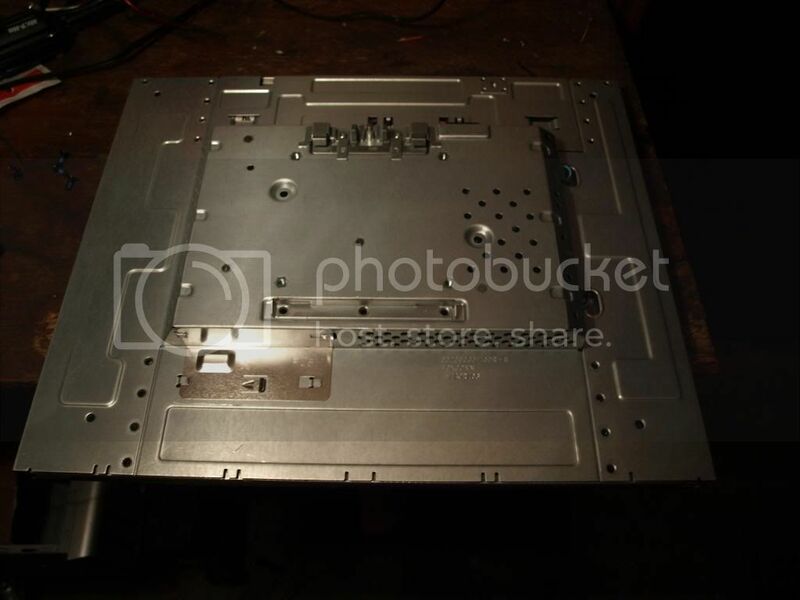 Next, you need to remove the four screws holding the metal casing onto the lcd panel. There are two on each side. 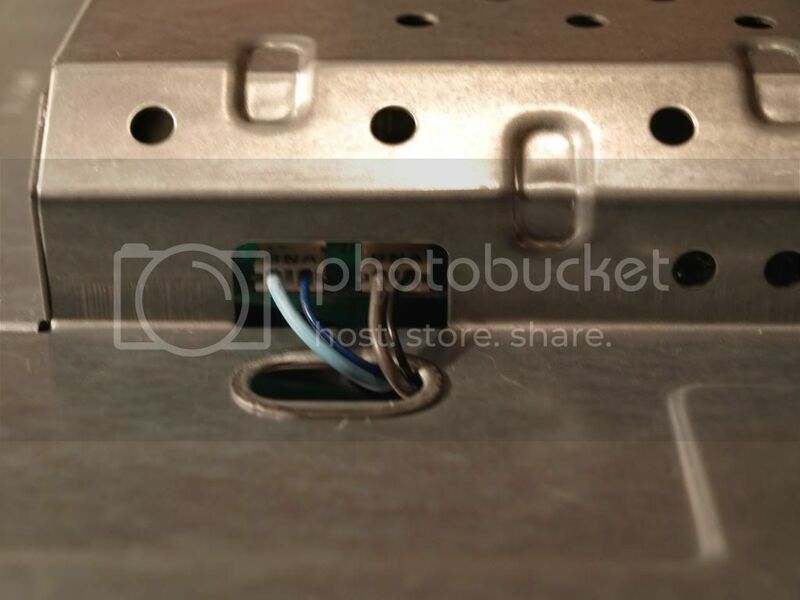 Remove the metal casing from the panel. On the inside of it will be a pcb. 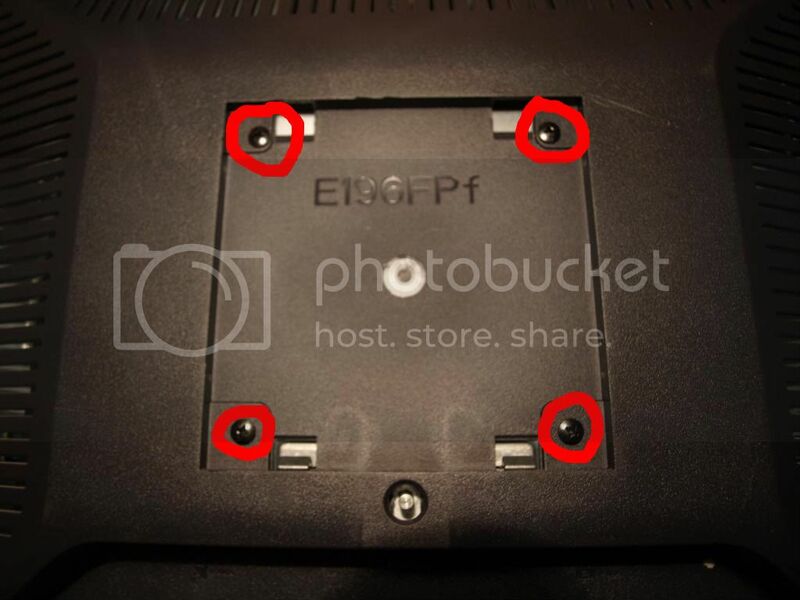 Remove the screws I have circled. 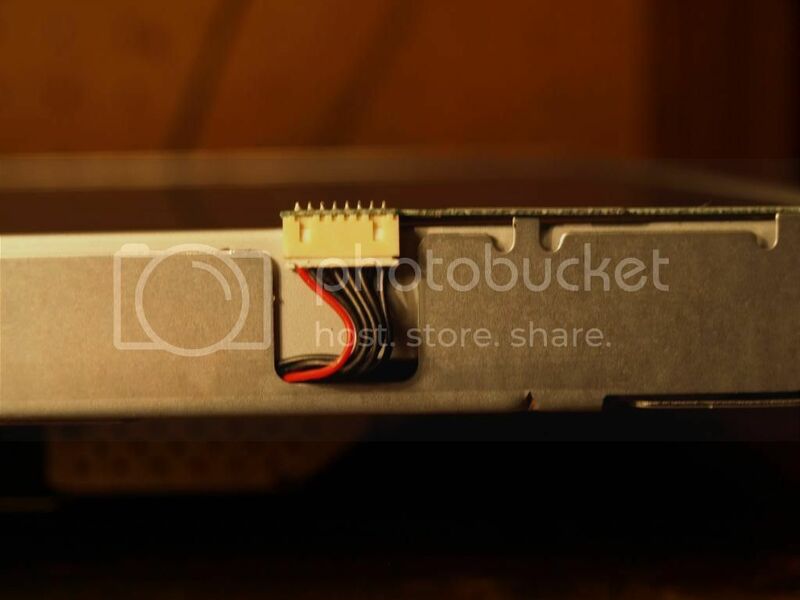 Now, you need to remove the two screws on either side of the power plug and the two standoffs next to the D-sub. I forgot to take a picture at this step, sorry. 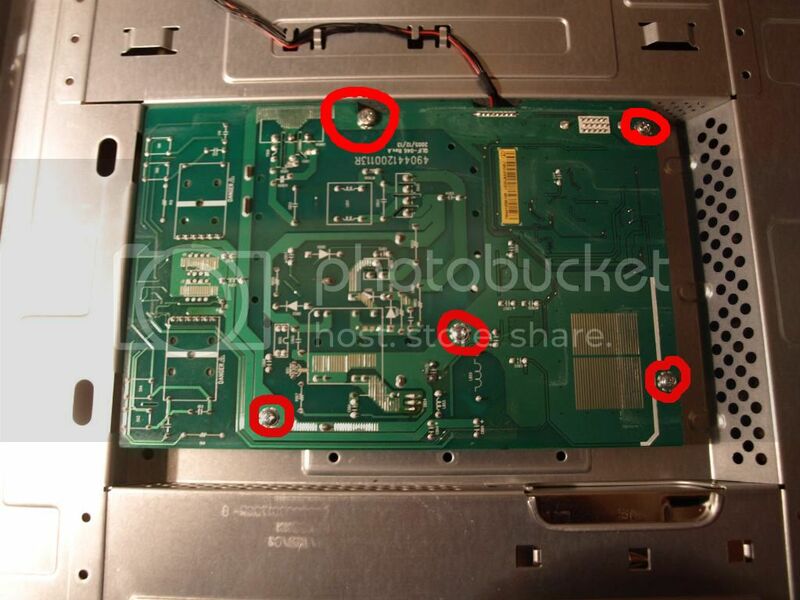 When that is done, you can take out the PCB and identify the bad cap. Look for one that is bulged or broken. Here's the bad one I had. It's a bit hard to tell from the picture, but the top is bulged out. It was rated for 1000 uF 25V. When buying a replacement, make sure the capacitance is the same as the original and the voltage is the same or slightly higher. Here's my replacement cap. It's rated 1000 uF 35V. I've already clipped the leads a bit to make soldering easier. Now you want to desolder the original cap and replace it with your own. If you've never soldered before, I suggest you look up some tutorials and practice on an old VCR first. ***important! *** Make sure the new cap is facing the right direction, as electrolytic caps are polarized. Here's what it will look like soldered in place. Now, put the monitor back together. Basically, all you have to do it follow the guide backwards. Take your time, it's easy to forget a plug or a screw. At this point, you should be ready to test it out. If everything went well, it will work. I seem to have hit the picture limit, so here is a picture of it working. Good stuff! I actually did this same work for a computer business in Topeka under contract with the City of Topeka. Repaired about 40 monitors, all the same HP model that fried the same caps each time. Awesome, I was about to post a question about this on the Random Chit Chat so I can buy some monitors and fix it too. It should be very similar. The only real difference between a TV and a monitor is the tuner. Adjusting the capacitance might change the way the circuit behaves, and could be catastrophic depending on the application. Also it's, usually, the low voltage rating of the cap's in the first place that cause them to fail; ripple voltages to close to the voltage rating causes them to fail quickly. This is the reason I replace the caps with the same uF value but a higher voltage rating. Just make sure you have enough space. It's actually safer to go with a higher voltage cap than to play with the uF values. Also it's, usually, the low voltage rating of the cap's in the first place that cause them to fail; ripple voltages to close to the voltage rating causes them to fail quickly. This - especially in cheaper models, companies will skimp on caps providing ones that just about meet the voltage necessary in normal operation. One slight surge and they go up in smoke! 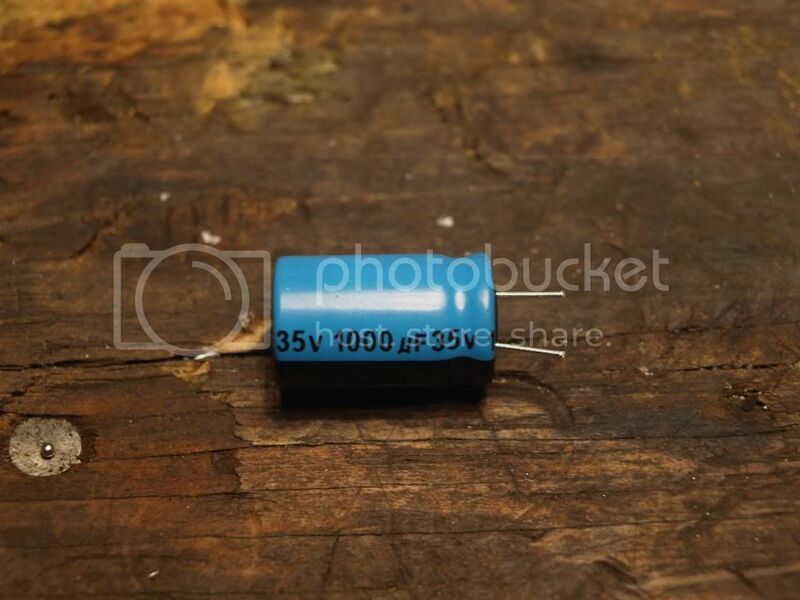 The voltage rating of a capacitor is literally just how much voltage the capacitor can withstand, with 1V going through it one rated at 5V will behave the same as one rated for 100V. If it's got a higher capacitance however that might flood something else down the line with more than it can handle when that charge is released, giving you another few components to swap out!